This WHAM! 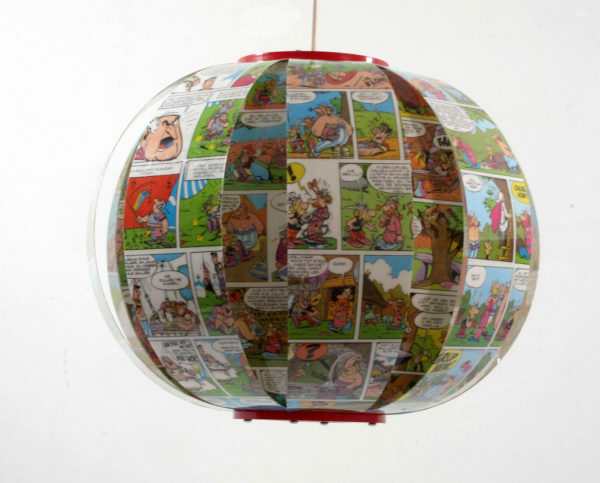 Comic Book Lamp is a hanging lamp made from a real Asterix & Obelix used comic book which has been transformed into a fabulous and functional light object. Each lamp is unique and made from a different comic book. This WHAM! Comic Book Lamp is a hanging lamp made from a real Asterix & Obelix used comic which has been transformed into a fabulous and functional light object. It is the latest design by Michael Bom. It is colourful and fun to look at for young and old. The design is made to be durable. Each lamp is unique and made from a different comic book. It is also possible to have this lamp made from your own favourite comic book. 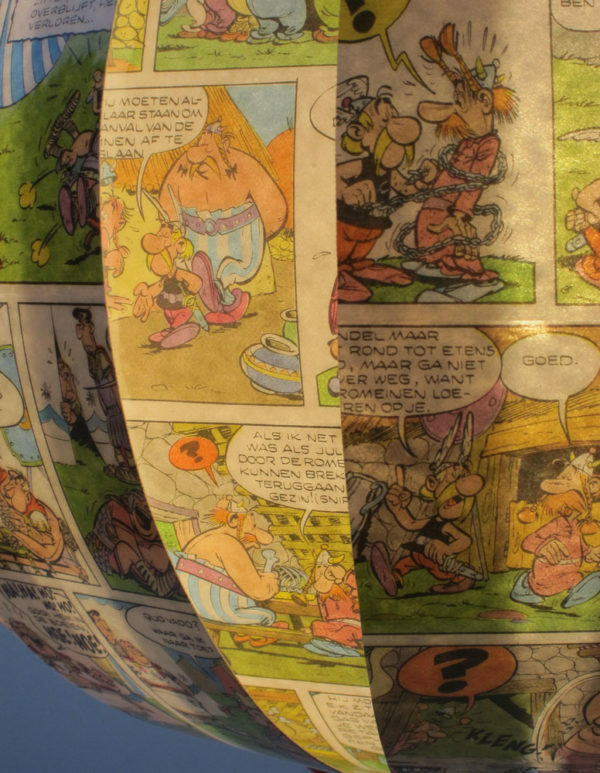 Michael Bom started out creating his booklamps in 2003. These sculptural light objects display his ability to create poetic yet totally functional objects. 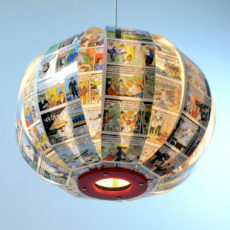 The lamp is designed to be used with an energy saving light bulb which is better for our environment. Dimensions approx: w 33,5 cm x d 33,5 cm x h 28,5 cm. This WHAM! 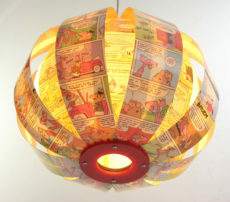 Comic Book Lamp is a hanging lamp made from a real Pink Panther used comic book which hasbeen transformed into a fabulous and functional light object. 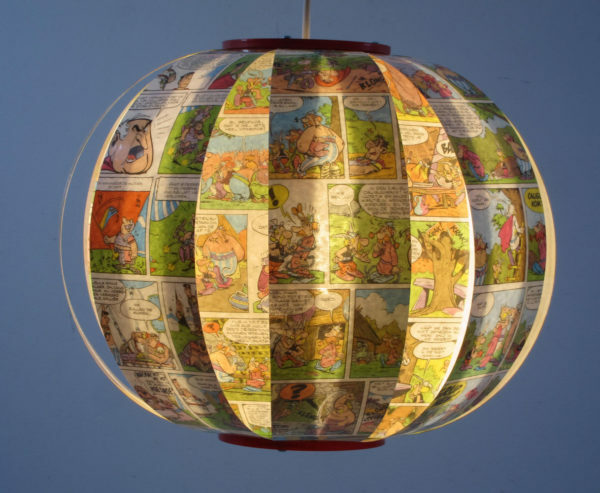 Each lamp is unique and made from a different comic book. 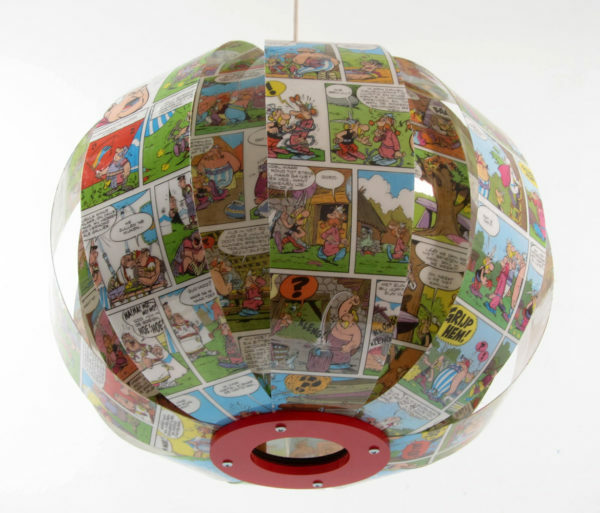 A hanging lamp made from a real Suske & Wiske used comic which have been transformed into a fabulous and functional light object. It is the latest design by Michael Bom. It is colourful and fun to look at for young and old. This WHAM! 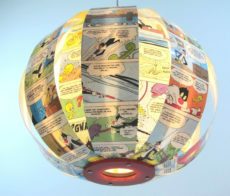 Comic Book Lamp is a hanging lamp made from a real Sylvester & Tweety used comic which have been transformed into a fabulous and functional light object. 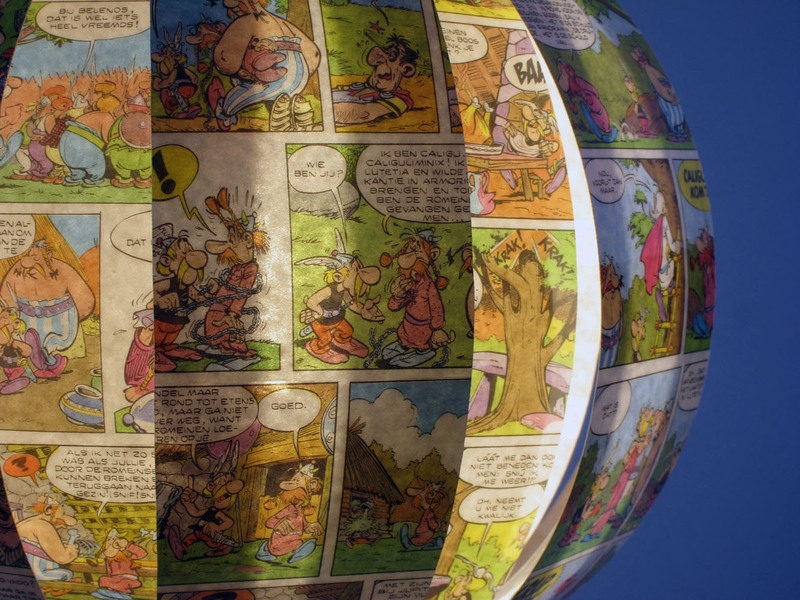 Each lamp is unique and made from a different comic book. This WHAM! 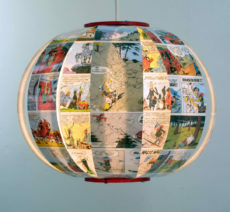 Comic Book Lamp is a hanging lamp made from a real Lucky Luke used comic book which have been transformed into a fabulous and functional light object. 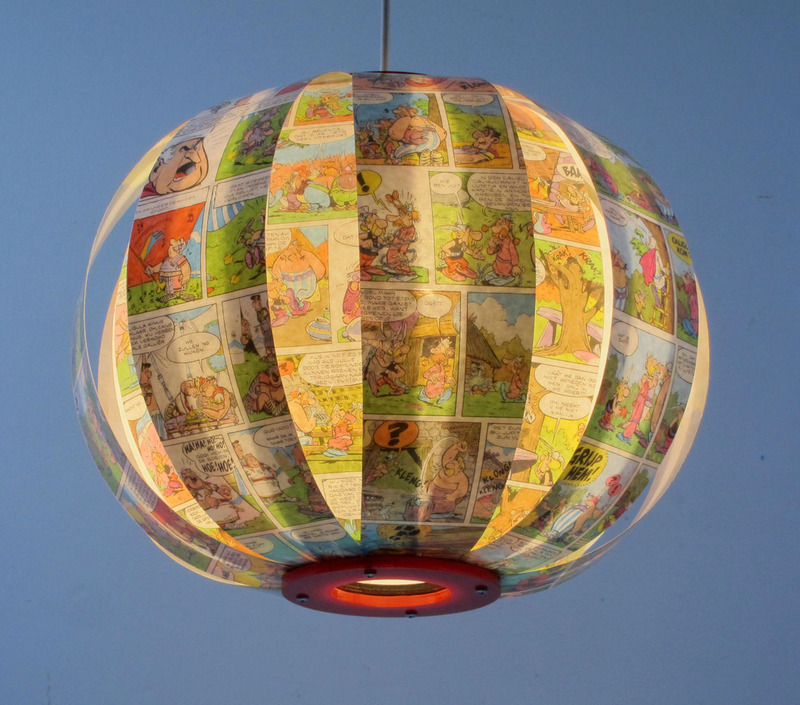 Each lamp is unique and made from a different comic book.